HOUSTON (SFTHH)-This past Tuesday the Wyoming House agriculture committee shot down Rep. Sue Wallis’ “Wyoming Food Freedom Act”. Wallis, currently under investigation for fraud and ethics charges, has publicly claimed that she supported the act to encourage the sale and consumption of homemade foods outside of the scope of standard government inspection. In reality the act is alleged to be a thinly veiled attempt to circumvent federal law regarding the inspection of meat so that Wallis can profit from her planned horse slaughter plant. This would also allow Wallis to slip around the issue of carcinogenic drugs which are used upon American Equines as horses are not considered a food animal in the United States. The European Union has banned U.S. horse meat unless it can be verified that it is drug free. 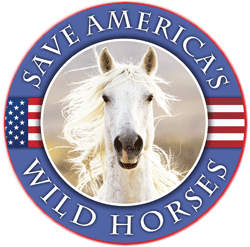 HOUSTON, (Horseback) – The controversial head of the federal Bureau of Land Management Wild Horse and Burro Program has quietly announced his retirement. Horseback Magazine learned through wild horse advocates that Don Glenn will be stepping down. There was no official government announcement. Land near Guernsey is looking “very promising” as the location of a multi-species processing facility that would likely be in operation by 2012. This multi-species processing facility would slaughter horses, cattle and bison. Sue Wallis, the Republican state representative from Recluse – who has publicly stated the United States has taken a valuable asset and turned it into a very expensive liability – is proposing the facility. It doesn’t take someone with much more than a grade school education to quickly figure out that self-appointed horse eaters, “Slaughterhouse” Sue Wallis and Dave “Doink” Duquette have managed, once again, to shoot each other squarely between the eyes with their failed SlaughterFest being held in Las Vegas this week. Their message that Eating horses is Helping Horses has not only fallen on its perverted face but it has brought their entire bloody and distorted message before the public in a very profound and informative way. After months of hype and frantic email promotion fewer than 200 traveled to snowy Las Vegas the first Monday in January to talk about saving the horse industry by reigniting the contentious issue of horse processing likely for human consumption in foreign markets. Late this morning, Pacific Time, Las Vegas News teams from NBC, ABC, CBS and more crowded into a small room to hear the sane rebuttal against the contravesiol “Summit of the Horse” being held in Las Vegas early this week. Sickened by the distorted number and incorrect facts equine advocates, representing all walks of life, traveled to this gambling town to ensure that the people of Las Vegas got the “other side of the story” and not just the cheap and discredited retoric from self-appointed horse slaughter experts representing the cattle industry. and stalking, to appear out of LaLa Land.